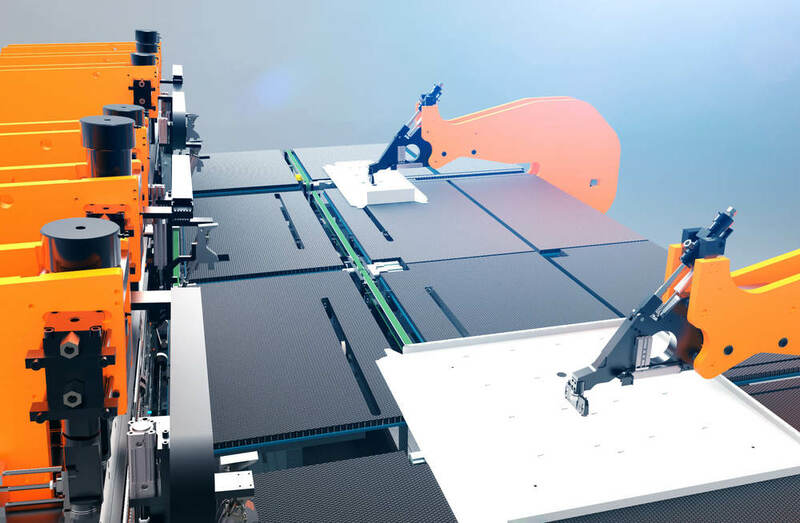 Our machines can be equipted with specific or standard handling systems. This depends on the machine concept and the material being processed. 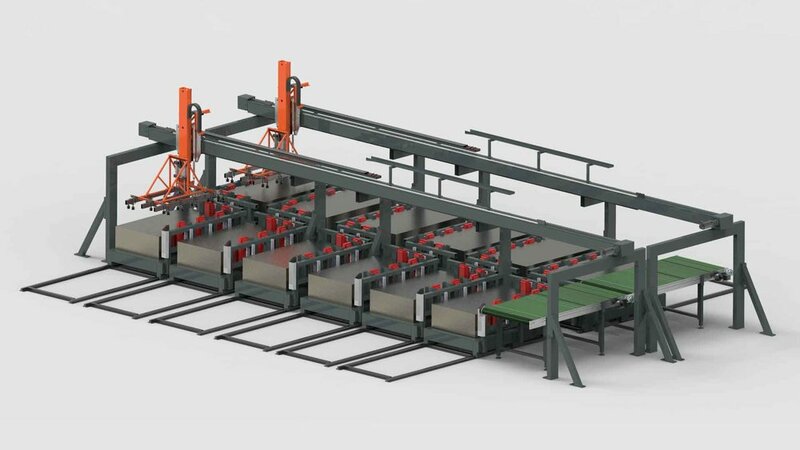 Specific or standard handling systems can be applied on our machines, depending on the machine concept and the material to be processed. Product accuracy and the required balance between flexibility and productivity also have an impact on the choice. This clamps and centres the product and can rotate the product 360º. We can integrate robots into our machines as standard if a high degree of flexibility is required. Feed-in or outfeed side of the machine can be fitted with any kind of storage facility.